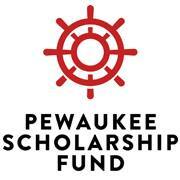 PSF awarded $46,600 to forty-four Pewaukee High School 2010 graduates. Elyse Ahrendt, daughter of Pat and Teri Shaver, is the recipient of a Pewaukee Kiwanis Club Scholarship. Elyse plans to attend the University of Wisconsin-Madison where she will major in biology, and then go on to veterinary school. Amanda Arzberger, daughter of Alan and Denise Arzberger, has been chosen to receive the John Tall Memorial Scholarship. She plans to major in music education and minor in music production at UW-Oshkosh. Taylor Baar, son of Daniel and Christine Baar, is the recipient of a Pewaukee Kiwanis Club Scholarship. He plans to study international affairs at Marquette University. Patrick Bacon, son of Peter and Mary Bacon, is the recipient of the Gene Edgette Memorial Scholarship. He plans to attend UW-Madison to study international relations and political science. Sarah Bowman, daughter of Dan and Sue Bowman, has been selected to receive a Pewaukee Scholarship Fund award. Sarah will double major in water resources and biology and minor in music performance. She plans to attend UW-Stevens Point. Morgan Bradley, daughter of Kelly and Joanne Bradley, has been chosen to receive a Pewaukee Scholarship Fund award. She plans to study media and communications and become a public relations specialist. Morgan will attend the University of Minnesota-Twin Cities in Minneapolis. Phillip Debbink, son of Jon and Denise Debbink, has been selected to receive a Pewaukee Scholarship Fund award. Phillip will major in engineering physics at the UW-Madison. Lynsey Dewitt, daughter of Shawn and Lisa O'Hern, has been chosen to receive a Pewaukee Scholarship Fund award. Lindsay plans to double major in elementary education and special education at Carthage College in Kenosha. Hannah Frett, daughter of Terrence and Laureen Frett, has been selected to receive a Pewaukee Scholarship Fund award. She plans to study health sciences at Marquette University to pursue a career in athletic training or physical therapy. Michael Gallert, daughter of Patrick and Lisa Gallert, is the recipient of a Robert Blask Honorary Scholarship. He will be attending Michigan Technological University, where he will study electrical engineering. Claire Gedeit, daughter of Rainer and Margie Gedeit, has been chosen to receive a Pewaukee Scholarship Fund award. She will major in either biomedical or chemical engineering at the University of Minnesota-Twin Cities in Minneapolis. Alissa Geipel, daughter of Jerry and Sue Geipel, has been awarded a Pewaukee Board of Education Scholarship. She will be attending Lawrence University in Appleton to study biochemistry, with a pre-med emphasis. Breanne Geipel, daughter of Jerry and Sue Geipel, is the recipient of the Hans Wienss Memorial Scholarship. He plans to major in physical therapy and minor in Spanish at Concordia University in Mequon. Hillary Geipel, daughter of Jerry and Sue Geipel, has been chosen to receive a Pewaukee Scholarship Fund award. She plans to major in pre-veterinary medicine at UW-River Falls. Alec Hanna, son of Wayne and Lou Anne Hanna, has been awarded an American Legion Scholarship. He will study political science at UW-Milwaukee and participate in the NROTC program at Marquette. Alyssa Harding, daughter of Tony and Dorthea Harding, is the recipient of a Pewaukee Scholarship Fund award. She plans to attend Waukesha County Technical College to earn an associate's degree in nursing, and then pursue a bachelor's degree in nursing at a University of Wisconsin school. Monica He, daughter of Guangping He and Hsinju Su, is the recipient of the Margaret Schallitz Memorial Scholarship. She plans to major in astrophysics while also studying linguistics or microeconomics at the University of Chicago. Margaux Huismann, daughter of Jim and Cass Huismann, is the recipient of an American Legion Scholarship. Margaux plans to attend UW-Madison to study biology in preparation for the physician's assistant program. Kelsey Jannsen, daughter of Terrill and Lisa Jannsen, has been awarded a Quad/Graphics Scholarship. She will be studying graphic communications and marketing at UW-Oshkosh. Thomas Jasinski, son of Jeffrey and Barbara Jasinski, is the recipient of a Robert Blask Honorary Scholarship. He will major in building trades-carpentry at WCTC. Heather Jost, daughter of Steven and Leslie Jost, has been awarded the Allen Anderson Memorial Scholarship. She plans to attend Lawrence University in Appleton, to study biochemistry and flute performance. Courtney Lewis, daughter of Jeff and Carol Lewis, has been chosen to receive a Pewaukee Scholarship Fund award. She is interested in medicine and hopes to participate in the physician assistant's program or study veterinary medicine at UW-Madison. Peter Lokken, son of Richard and Lisa Lokken, has been selected to receive a Pewaukee Scholarship Fund award. He plans to major in mechanical engineering with a possible aerospace focus. Peter will attend Hulman Institute of Technology in Terra Haute, Ind..
Lauren Lutz, daughter of Anthony Lutz, is the recipient of a Pewaukee Kiwanis Club Scholarship. She plans to major in elementary education at UW-Whitewater. Alexander Morgan, son of Scott and Susan Morgan, is the recipient of the Pewaukee Rotary Club Scholarship. He plans to study chemistry at Marquette University. Ashley Nagel, daughter of Dale and Beth Nagel, has been awarded the Stanek Tools Scholarship. She will attend UW-Madison, where she will study engineering. Sean O'Toole, son of Jeannette O'Toole, has been chosen to receive a Pewaukee Scholarship Fund award. He plans to pursue a major in biophysics and a minor in neurology at Loyola University in Chicago or UW-Madison. Carly Paget, daughter of Dennis and Suzanne Paget, has been selected to receive a Pewaukee Scholarship Fund award. Carly intends to major in aquatic biology with a minor in animal physiology or animal behavior. She plans to attend UW-Madison. Megan Peshek, daughter of Wayne and Cindy Peshek, is the recipient of the Pewaukee Chamber of Commerce Scholarship. She will be studying business at Calvin College in Grand Rapids, Mich.
Samantha Race, daughter of Jennifer Schluga, is the recipient of a Waterstone Bank Scholarship. She plans to study broadcast journalism and communications at Arizona State University. Lindsay Roberts, daughter of Craig and Carrie Roberts, is the recipient of the Dorothy M. Brouwer Memorial Scholarship. Lindsay plans to major in physical therapy and will attend Carroll College next fall. Trenton Rogers, son of Eric Rogers and Cathryn Gruber, has been awarded the Lloyd Egre Memorial Scholarship. He plans to major in mathematics and possibly secondary education at UW-Madison. Samantha Rohde, daughter of Kip and Margie Rohde, is the recipient of a Waterstone Bank Scholarship. She plans to attend UW-Madison where she will major in biology. Olivia Schneider, daughter of Richard and Kathleen Schneider, is the recipient of a Pewaukee Alumni Association Scholarship. She will attend UW-Whitewater to pursue a major in business with entrepreneurship emphasis and a minor in Spanish. Zachary Schoenike, son of John and Colleen Schoenike, has been awarded the Pewaukee School District Administrators' Scholarship. He plans to major in education and hopes to attend UW-Madison. Timothy Signer, son of James and Pamela Signer, is the recipient of the M. Van Hulle Honorary PSF Scholarship. TJ plans to pursue a bachelor's degree in mechanical engineering, followed by a master's degree in engineering management. He will attend Milwaukee School of Engineering this fall. Naomi Sime, daughter of David and Pam Sime, is the recipient of a Pewaukee Board of Education Scholarship. She plans to major in elementary education and Bible at Moody Bible Institute in Chicago. Matt Sternke, son of Craig and JoAnn Sternke, has been awarded the Joseph Ryan Memorial Scholarship. He will be majoring in biochemistry at UW-Madison. Jacob Strachota, son of Jeff and Mary Anne Strachota, is the recipient of a Quad/Graphics Scholarship. He plans to major in graphic design at WCTC. Mitchell Teeters, son of Gary and Karrie Teeters, has been awarded a Pewaukee Alumni Association Scholarship. He plans to attend UW-Madison to study accounting. Patrick Varin, son of Fred and Melanie Varin, has been selected to receive a Pewaukee Scholarship Fund award. He intends to major in some discipline of engineering and hopes to attend Franklin W. Olin College of Engineering in Massachusetts. Amy Vetro, daughter of James and Carol Vetro, is the recipient of the Pewaukee Education Association Scholarship. She plans to major in elementary education at UW-Madison. Rebecca Vitale, daughter of John and Laura Vitale, is the recipient of a Pewaukee Alumni Association Scholarship. She plans to study psychology and social work at UW-Green Bay. Caroline Wickler, daughter of Michael and Mary Ann Wickler, has been selected to receive a Pewaukee Scholarship Fund award. She may major in kinesiology or psychology at UW-Madison.